This bonded pair have been together almost their wholes lives. They were brought to Carter’s, as their family situation changed and they are in need of a forever home, where they can remain together for the rest of their lives. 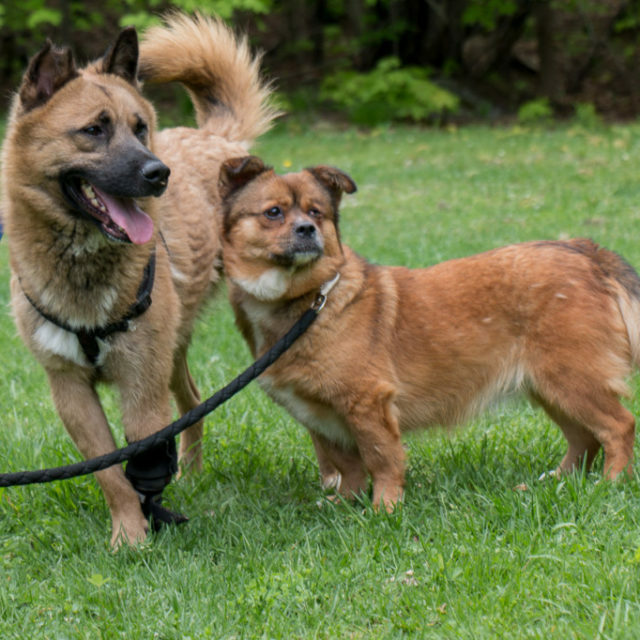 They are approximately 3 years of age, medium sized mixed breed, and are just the cutest pair. Where one goes, the other follows. They share meals, their dog bed and their toys. They do get on well with other dogs and are great on a leash for a romp around the block. Both are completely house trained and are comfortable in a crate. If you have a heart, and home, big enough for these two besties, please complete the adoption application. Once the application is received and reviewed, a member of the team will be in touch to set up a meet and greet. The adoption fee for this bonded pair is $800. and includes their spay/neuter, up to date vaccinations and microchip.